OLYMPIA — Two Washington State Department of Corrections employees have received awards as part of the annual Public Service Recognition Week celebration held the second week of May. 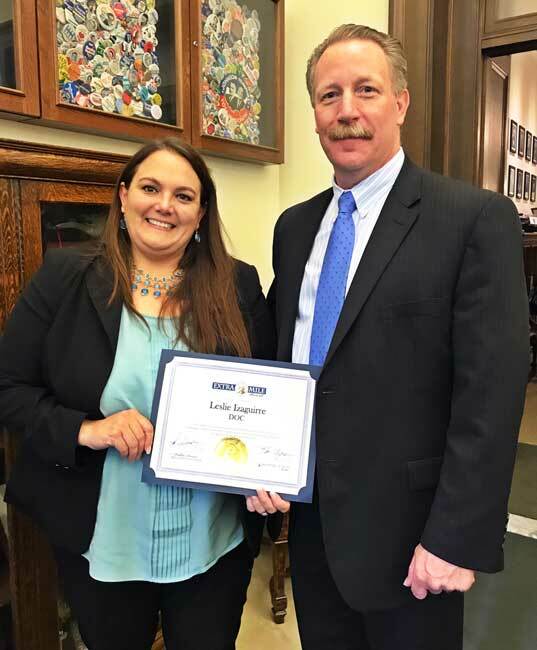 Leslie Izaguirre, a fiscal analyst at Coyote Ridge Corrections Center, received an Extra Mile Award. 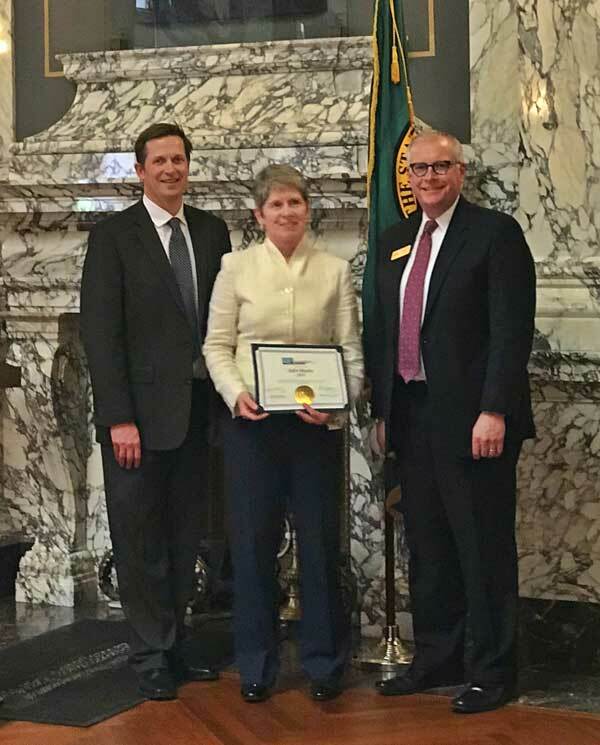 Julie Martin, the assistant secretary of the agency’s Administrative Operations Division at the department’s headquarters in Tumwater received a Leadership Award. The Office of Financial Management and Office of Secretary of State hosted this year's Public Service Recognition Week. The week is filled with celebrations and events all around the state, with an award ceremony culminating the honors. Izaguirre received the Extra Mile Award for assisting the victim of a rollover accident following a snowstorm in Eastern Washington. Izaguirre saw the car crash into an embankment on U.S. Route 395. Izaguirre saw the driver of the car was badly injured. She called 9-1-1 and stayed with the victim until first responders arrived. The victim later died, but his family contacted Izaguirre to thank her for staying with the man so he was not alone in his final hours. They also describe Martin as someone who is not afraid to challenge the status quo, works hard to communicate to staff so they have information to do their work and is someone who creates pathways to carry out the Administrative Operations Division’s vision.